A total 54 MPs from President Emmanuel Macron's La République En Marche! party have signed an open letter calling for a total ban on the herbicide glyphosate to be imposed 'as soon as possible'. The European Parliament is due on Wednesday to vote on whether to renew the controversial herbicide's licence for another 10 years. The European Commission has said it is in favour of renewal. But France has already said it will vote against the proposition, with Environment Minister Nicolas Hulot saying on Monday that he wanted the duration of renewal limited to three years. Meanwhile, Minister of Agriculture Stéphane Travert has called for a re-registration period of five to seven years. The letter, published in Le Monde, read: "France will vote against the renewal of its use for 10 years and we welcome the responsible position of our country." 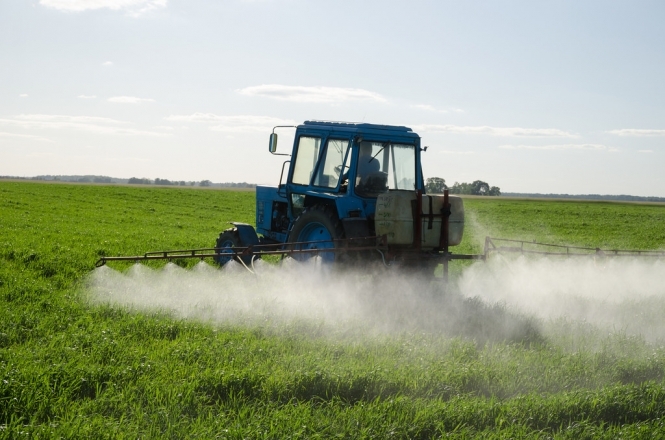 The 54 signatories said the letter was written, 'in the name of all' as they called for the ban, saying: "Banning glyphosate, while properly supporting farmers in a transition, on a short and realistic schedule, is a good compromise." November's edition of Connexion, which will be in shops later this week, features an interview with a mother who believes using the herbicide while she was pregnant caused her son's serious health issues, as well as a farmer who has not used it for years.